Our continued growth and success is not possible without the dedication of our incredible volunteers. 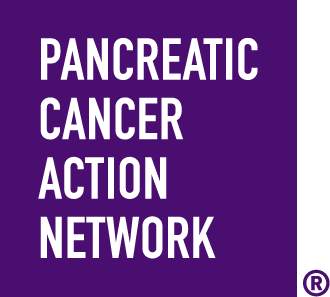 Your actions move mountains for every person affected by pancreatic cancer and there are many ways to get involved! Interested in PurpleRideStride? You can help our planning committee leading up to the event or volunteer on event day to get your toes wet! If you’re interested in joining this movement outside of PurpleRideStride, you can volunteer with your local affiliate and work year-round to transform the face of this disease. If you want to do more than ride or walk to end pancreatic cancer, you can be an event day volunteer. The day of the event would not be possible without our amazing event day volunteers. These folks come out and help on the route or in a booth…no matter the task, we need your help! Interested? Just select the “Volunteer” participant type during registration and you can register for free. You’ll even get a personal fundraising page to show family and friends your commitment to the cause. In the time leading up to the event, a local volunteer leader will reach out to you to discuss more details about your interests, timing and specific details for event day. Have questions before then? Please reach out to Anne Rosenberg. There is a lot that happens behind the scenes and leading up to event day. Under the leadership of our PurpleRideStride Chair, the planning committee helps to plan everything around the event from logistics to fundraising! You can be a part of this success by joining our planning committee! Make new friends who share your passion for ending pancreatic cancer while taking fearless steps forward against the disease. Interested? Email Lisa Beckendorf to find out about opportunities. If you are interested in volunteering outside of PurpleRideStride, there are opportunities year-round for you to Wage Hope in the fight against pancreatic cancer in your community. Throughout the year, the local volunteer affiliate works to propel other initiatives forward, such as November Awareness, education and working with our survivors & caregivers. Interested? Contact MaryJo Mahowald to get involved locally, or find local activities and actions here.